Home » Blog » blog » Flat or Sloped Roofs? Both types or roofs are excellent options, but only one will be the right choice for your home’s design. Here are some of the advantages and disadvantages of both roofs that you should consider before purchasing. Flat roofs are an excellent choice if you are looking for improved energy efficiency as they offer better insulation than sloped roofs. They rely on innovative insulation methods that use materials that can lower heating and cooling demand. Their flat design also can provide more stability in heavy winds and makes it safer to do maintenance work, unlike sloped roofs. Since they require fewer materials than a sloped roof, they are often less expensive to build. And, one of the biggest perks is that you can transform a flat roof into a patio or garden space and gain some extra room that you wouldn’t have with a sloped roof. Flat roofs often have a bad rap because they don’t provide adequate protection in heavy snow or rainfall. Even though it has a slight slope to allow water to move out through the gutter, pooling is common, causing problems if there are any blockages in the draining system. The structure also tends to form cracks in temperature fluctuations, which can lead to increased water infiltration and damage. However, with regular inspection and maintenance, these problems can be greatly mitigated. Sloped roofs are known for their enhanced water-proofing properties and stylish design. They are far superior to flat roofs when it comes to water-protection because they are designed to let the snow and ice runoff. Their gutter systems are also better at removing water than those of a flat roof. Plus, they tend to last longer before replacement is needed compared to flat roofs. And when it comes to style and design, you get more choice with a sloped roof. 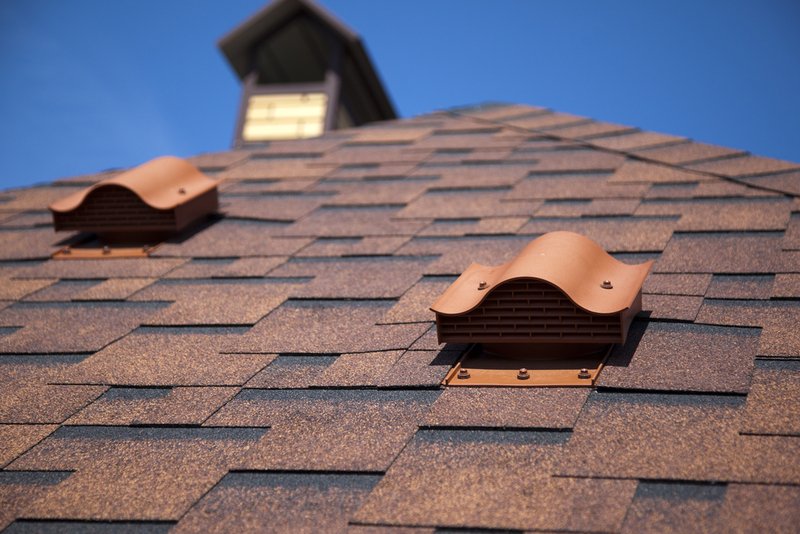 There are plenty of materials for you to choose from, such as wood shingles, asphalt shingles, clay tiles, slate and even metal, so you can really custom design your roof to match your home. Sloped roofs may provide some quality aesthetics to your home, but they can be difficult to inspect and maintain due to their steep sloped design. Falls are common on sloped roofs, and taking care of small maintenance items often requires the help of a roofing expert. Additionally, as mentioned above, pitched roofs are more expensive to install. However, repairing a flat roof can cost a lot more than a pitched roof and as a result, might be a better option in the long run. Still not sure what is best for your home and location? Call us today at Roofmaster, and one of our trained roofing professionals will help answer all of your questions.